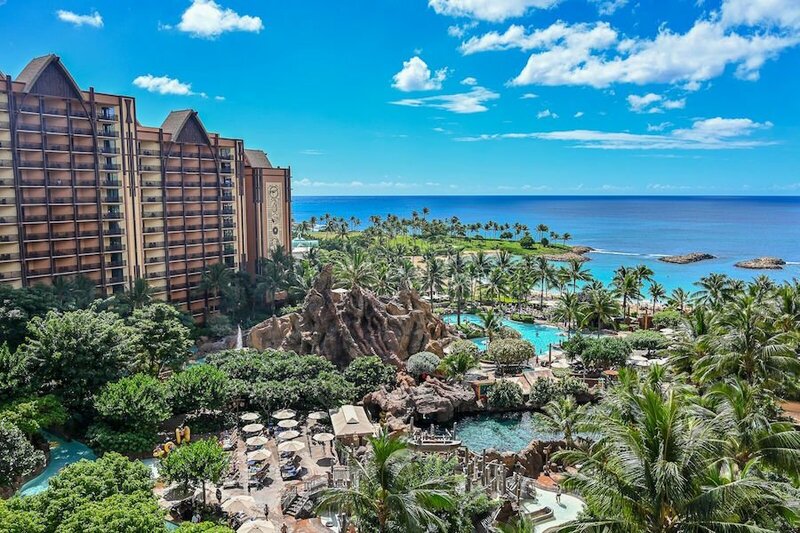 Disney's Aulani Resort and Spa is located right on the oceanfront in the beautiful Ko Olina Resort area of Oahu, Hawaii, about 17 miles north of the Honolulu Airport. 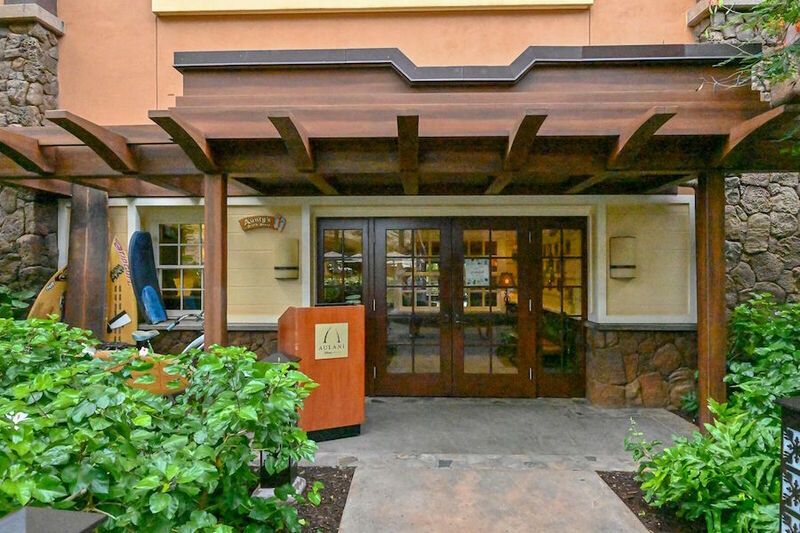 Hawaiian culture and tradition come to life in this resort, modeled after the Hawaiian village concept. The ocean views, white sandy beaches, tropical foliage and salt-water lagoons make this resort a great vacation destination. 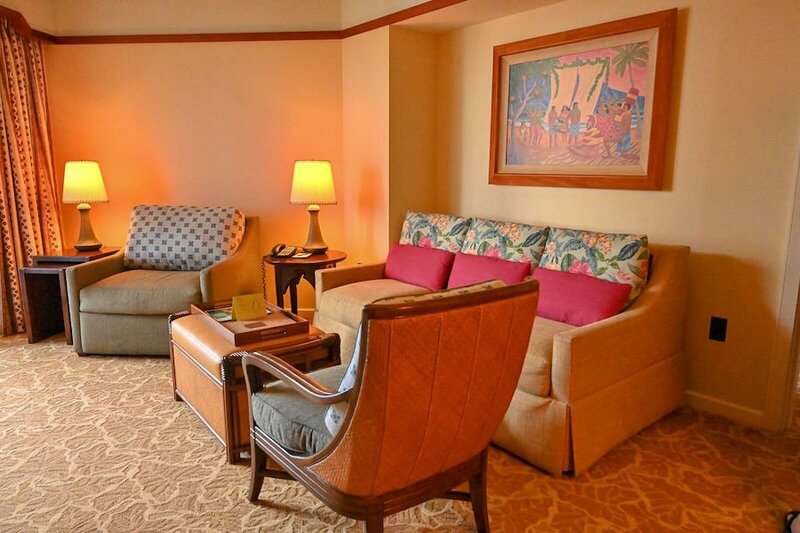 Very similar to a Disney Cruise Line daily navigator, guests of Aulani receive a daily 'IWA (pronounced e-v-a) in their room every morning. 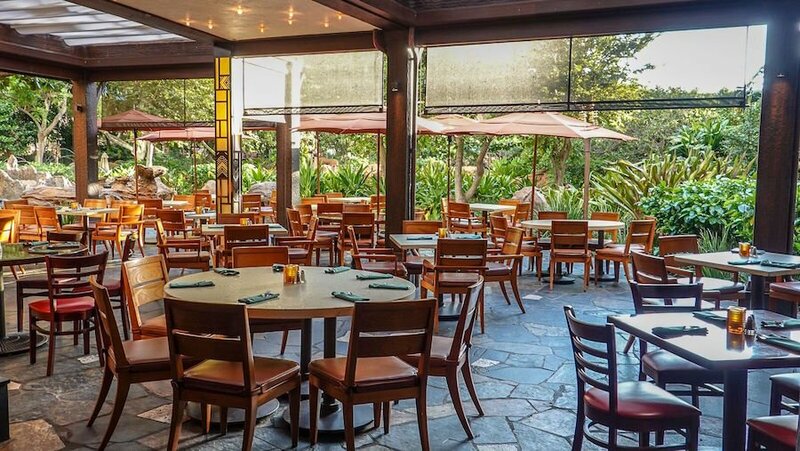 These are crucial for planning your day at Aulani and something you should definitely read over in the morning. 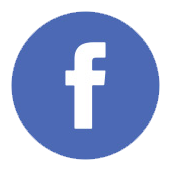 The daily 'IWA lists all of the events and activities, character greeting locations, and hours of operation for many of the venues. We've scanned a full week of 'IWA's for your reference. Please note that the details listed in the one above are very likely to change and should only be used as a reference. 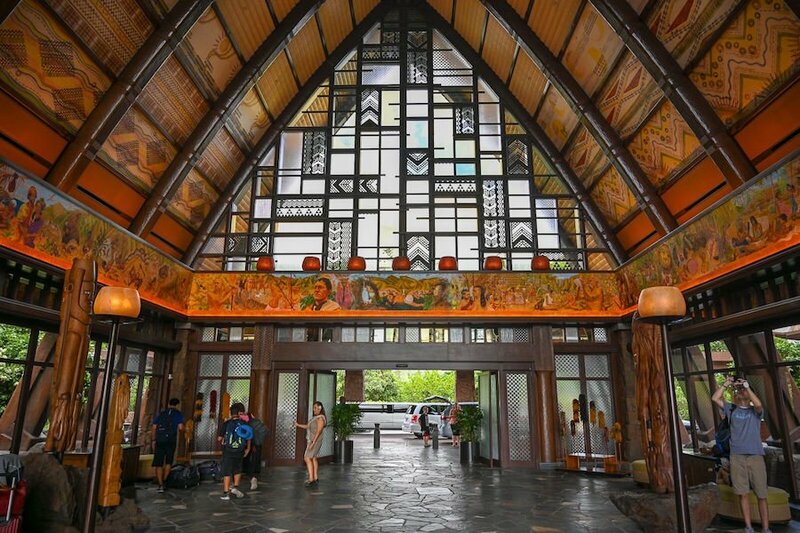 Aulani features 359 traditional hotel rooms and suites and 481 Disney Vacation Club Villas, decorated with wood and Hawaiian elements. These rooms have several views available: Standard View, Ocean View, Partial Ocean View, Poolside Gardens View, Island Gardens View. The standard rooms sleep 4 and have either 2 queen-size bed or 1 king-size bed with queen-size sleeper sofa. The 382-square-foot rooms have 1 bathroom. 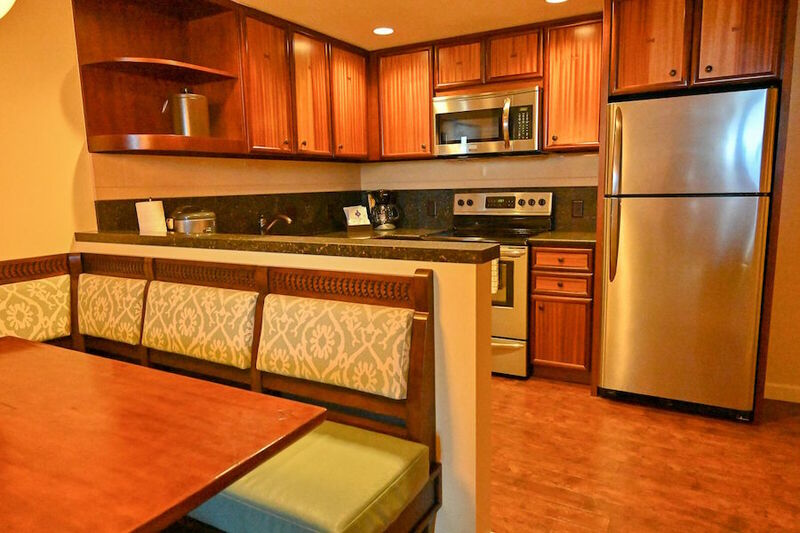 There are also handicap accessible rooms available for all views and on most floors. There are 1-bedroom and 2-bedroom suites available, featuring sleeping space for 5 and 6 guests. Villas include Deluxe Studios (accommodate 4), 1-bedroom villas (accommodate 5), 2-bedroom villas (accommodate 9) and 3-bedroom grand villas (accommodate 12). Many of the contemporary custom furnishings pay homage to ancient culture. Fabrics in earth tones were inspired by kappa, or bark cloth, known for its subtle intricacy and embossed patterns. The headboards reflect outrigger canoe shapes and butterfly joints that were used to mend precious wooden bowls. Fabrics from the 1940s and 1950s have been reinvented in the room's pillow and bedding. 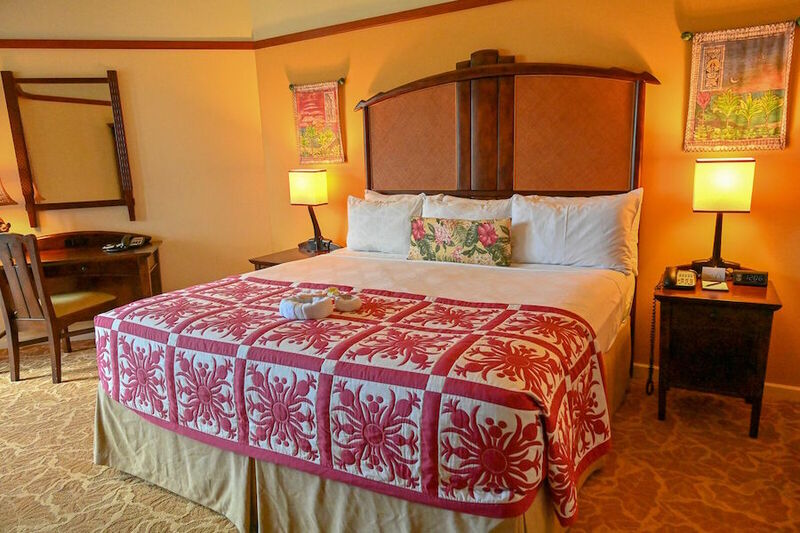 Being a true Disney resort, you will find "hidden Mickeys" in the pineapple-patterned Hawaiian quilts on the bed and Ukulele-playing Mickey Mouse lamp on the desk. 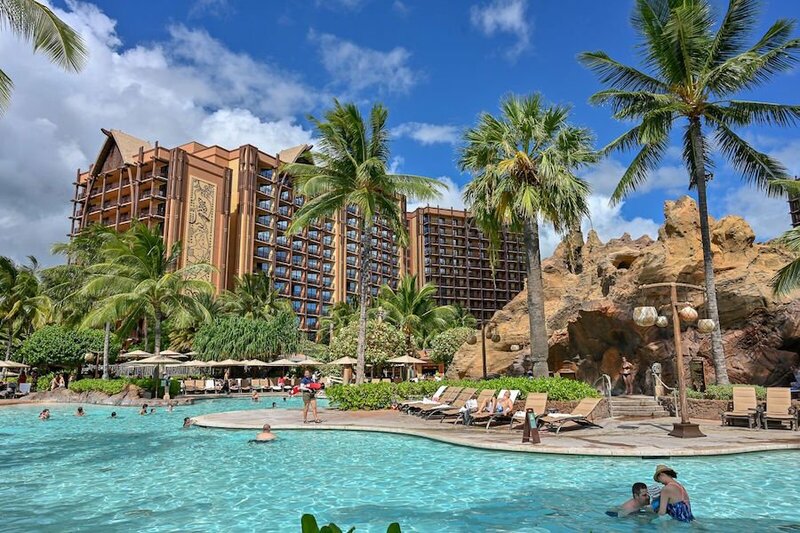 Disney resorts are known for their recreational opportunities and Aulani is no exception. The Waikolohe Valley is the main pool area of the resort where the pools and water play area blend seamlessly into the beautiful surrounding scenery. There are two pools, both of which offer zero-entry as well as traditional steps. 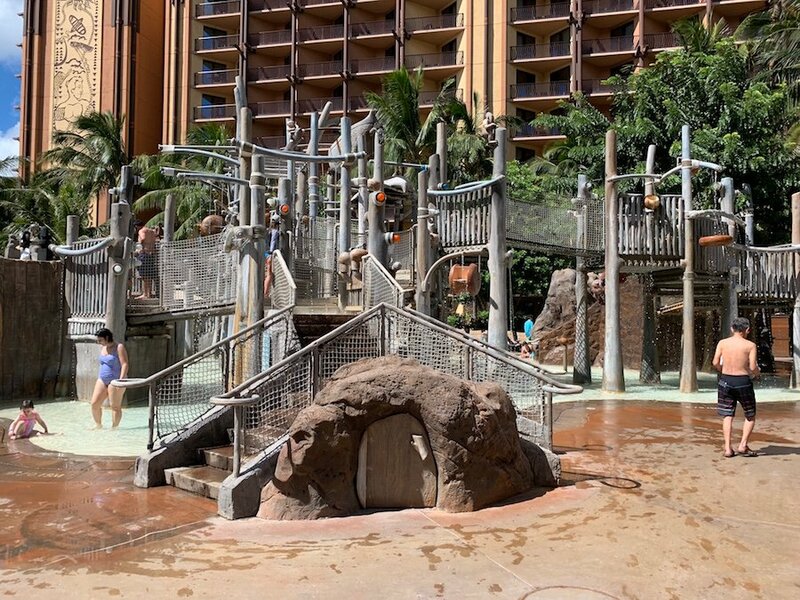 There are also two slides in Waikolole Valley, a tube (Tuberstone Curl) and a body slide (Volcanic Vertical) that takes you on a ride through volcanic rock, or you can float along in the lazy river that circles the entire valley (900 linear feet). There are also four hot tubs, two of which feature "infinity" edges that let you sit and soak in the beautiful Hawaiian sunsets. 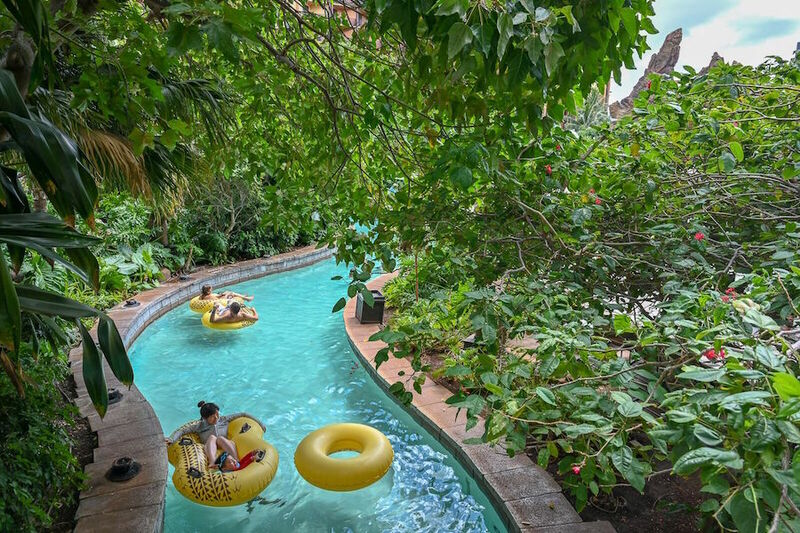 With its 2013 expansion, Waikolohe Valley features a themed family pool called Ka Maka Grotto with an infinity edge, a misty grotto with beautiful sunset views and an after-dark experience with glittering lights. Wailana Pool is an adult-exclusive pool area. This play area is for children under 48 inches and features 3 slides, a play structure and more! Children using this area must be supervised at all times and diaper age children must wear swim diapers. There is no lifeguard on duty here. 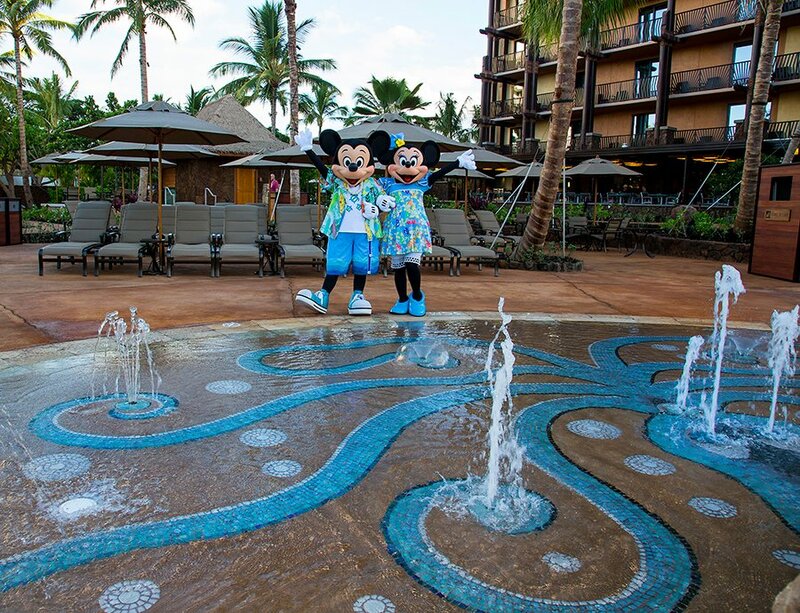 A kids' splash zone that's designed to resemble a tidal pool, with images of tidal pool creatures on the pool floor, rainbow water jets and hidden menehune – the legendary 'little people' of the islands. 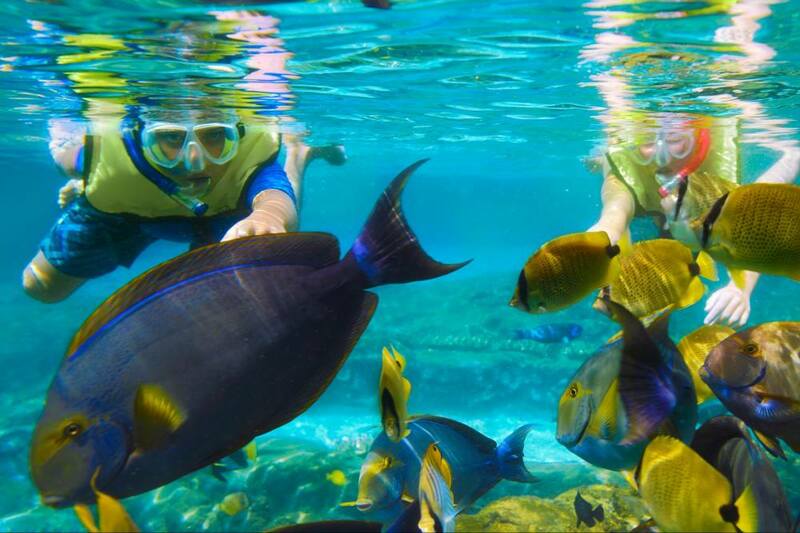 The Rainbow Reef saltwater snorkel lagoon is filled with tropical fish for you to explore. 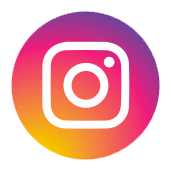 The Rainbow Reef experience is $20 for adults and $15 for children, or you can purchase an length-of-stay pass at $39 for adults and $29 for children. This is open from 10:00 am to 5:00 pm. 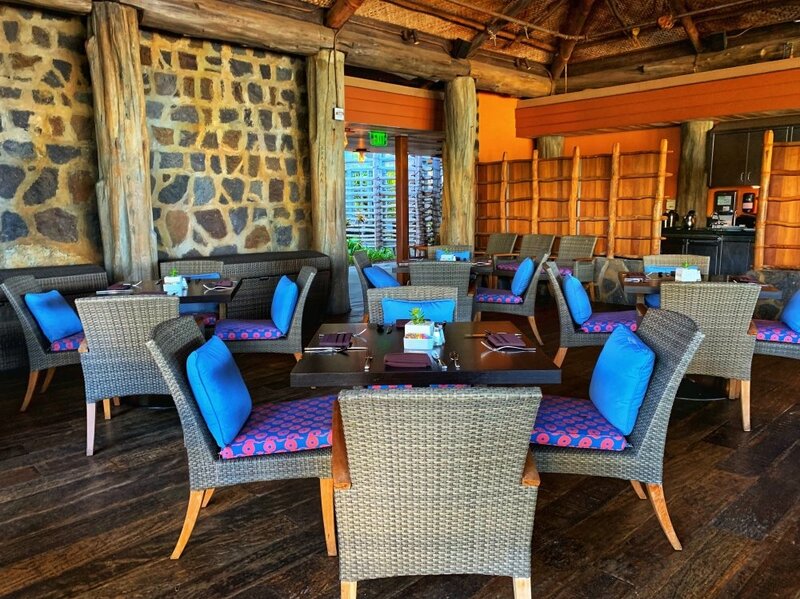 This signature dining restaurant serves local favorites while you dine alongside the Pacific Ocean. Ama Ama means Mullet Fish and the theming behind the restaurant is a fishing village. Ama Ama offers breakfast, lunch and dinner. Breakfast is served from 7:00-10:30am. Lunch is served from 11:30 am - 3:00 pm. 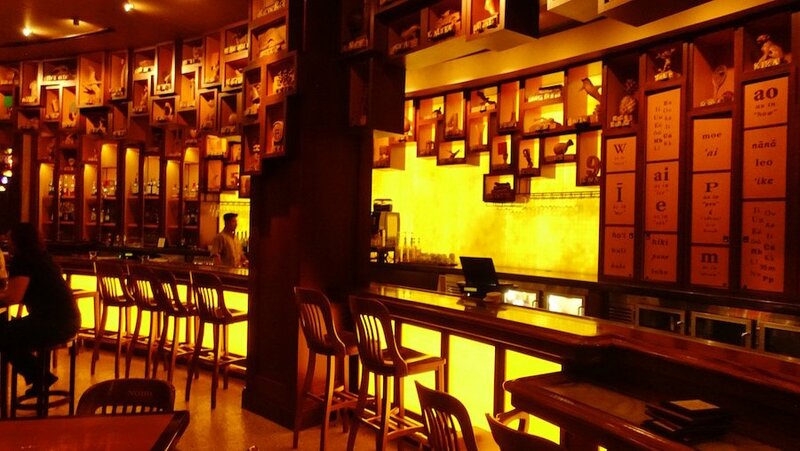 Dinner is served from 5:30 pm - 10:30 pm. There is live music from 7:00 - 9:00 pm. This is not a cheap restaurant so be prepared to spend money. A buffet of fresh, international foods are served in this open-air dining room for breakfast and dinner. Makahiki is the season of the harvest and celebrated during the rainy season usually occurring from late fall to early spring. This restaurant was created to honor this season of renewal and celebrated as a feast with gifts from the land. Traditional Makahiki ceremonies are held throughout Hawaii. 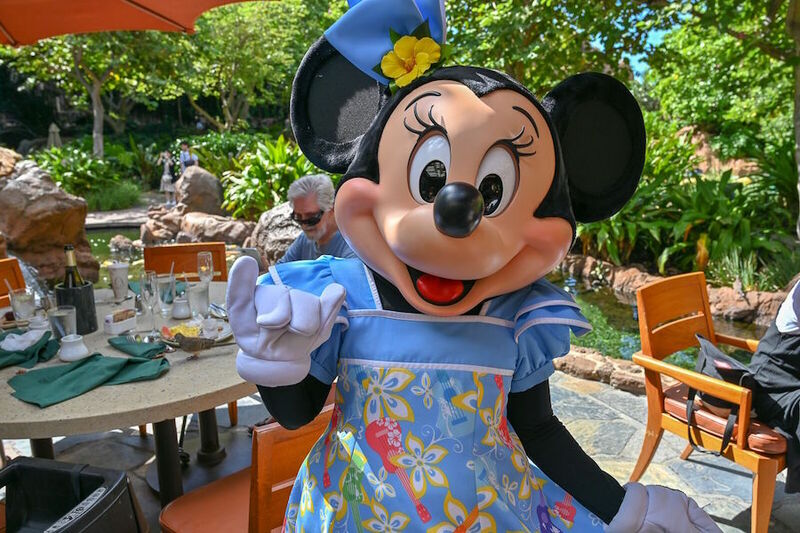 Breakfast Buffet: This character breakfast, Aunty's Breakfast Celebration at the Makahiki, is served from 7:00 am - 11:00 am. Character breakfast price for adults is $37.00 and $18.00 for children 9 and under. 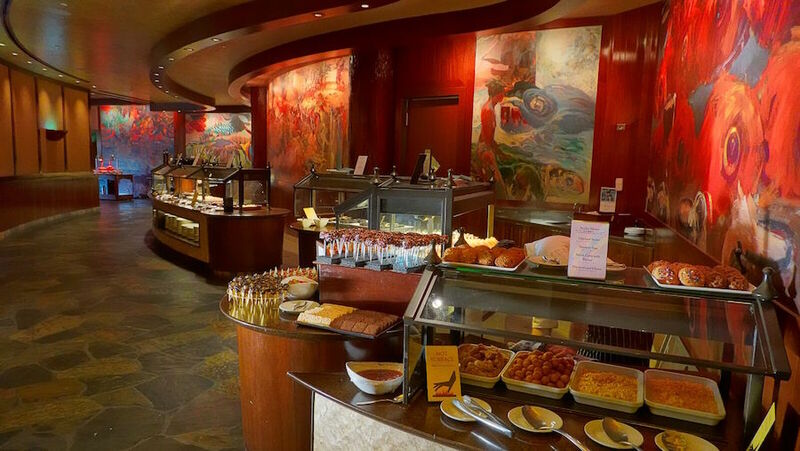 Dinner Buffet: Dinner is served from 5:00 pm to 9:30 pm. Price for adults is $47.00 and $21.00 for children 9 and under. Example of items on the dinner buffet include: Curried Mussels, Braised Lamb with Goat Cheese Polenta, Grilled Teriyaki Eggplant with Asparagus, Sautéed Bok Choy, Assorted Tempura: (Shrimp, Sweet Potato, Carrots, Green Beans, and Onions), Port and Vegetable Lumpia Spring Roll, Sauté Green Beans with Onions, Huli Huli style chicken, Roasted Strip loin of Beef with Spiced Hawaiian Salt Crust, Roasted Purple Sweet Potatoes, Traditional Pork & Butterfish Lau Lau, Assorted Vegetable Lau Lau, Chinese-style Steamed Fish, Beef Chow Fun Noodles, Assorted Dim Sum, Guava Barbecued Ribs, Sautéed Yellow Squash Zucchini and Peppers, Roasted Garlic Mashed Potatoes, Assorted Sushi, Charcuterie Platter, Poached Shrimp, Fresh Sashimi, Mixed Island Greens, Macaroni Salad, Buckwheat Soba Noodle Salad, Poke, Lomi Lomi Salmon, Poi, Edamame Salad, Fruit Salad, Mango Cheesecake, Brownies, Banana Cream Puffs. Kids Dinner items include: Bacon-cheeseburger Macaroni, Pepperoni Pizza, and Grilled Chicken Strips with steamed vegetables. 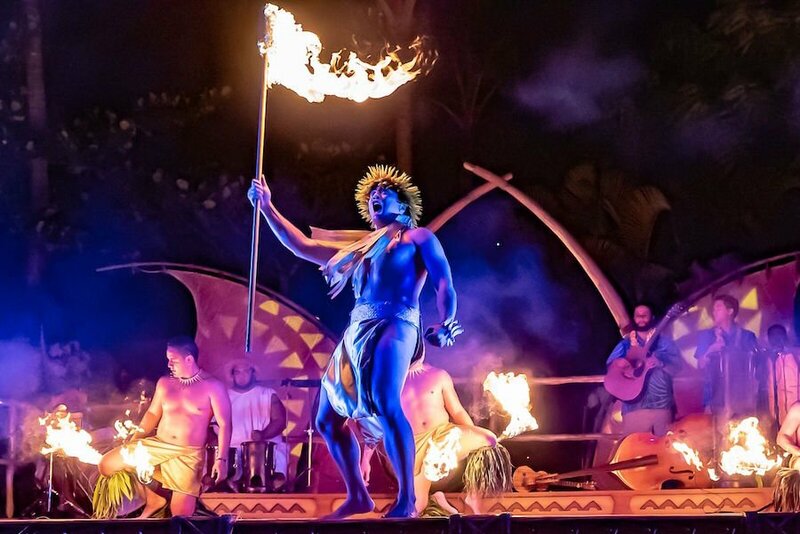 KA WA’A, a luau at Aulani, a Disney Resort & Spa, will feature a a buffet of island specialties, live music, and traditional Hawaiian dance. 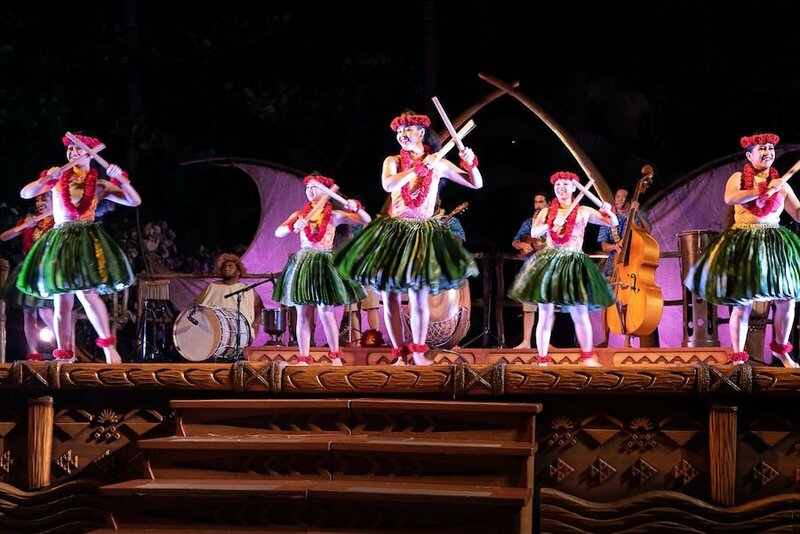 Guests can learn the hula kahiko and the modern hula ‘auana. 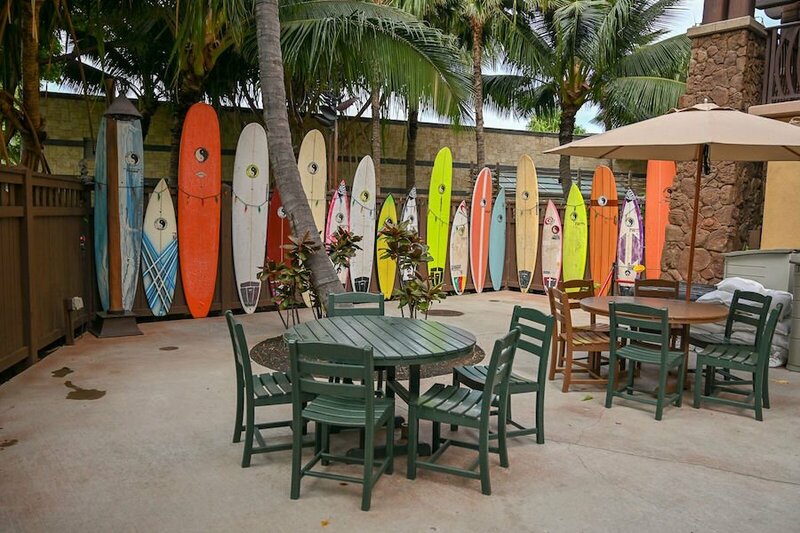 The menu includes fresh salads, seasonally-sourced vegetables, braised imu-style pork, carving stations with whole roasted Hawaii-raised suckling pig, slow-roasted prime rib, haupia-coconut puddings, guava cakes, and tropical fruits. For the less adventurous, there is also macaroni and cheese, chicken tenders, Mickey-shaped pastas, and more. 'Olelo is the Hawaiian word for "language". 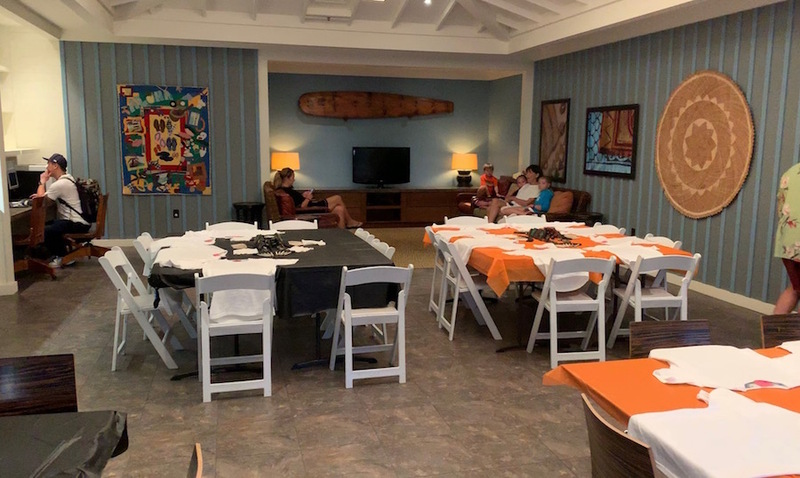 This is an "interactive language lounge" that is full of sculptures labeled in 'Olelo Hawaii so that guests will increase their Hawaiian vocabulary. In 1896 English was made the main language of Hawaiian schools and children speaking it in class was punished, so parents discouraged their children from speaking it at home. 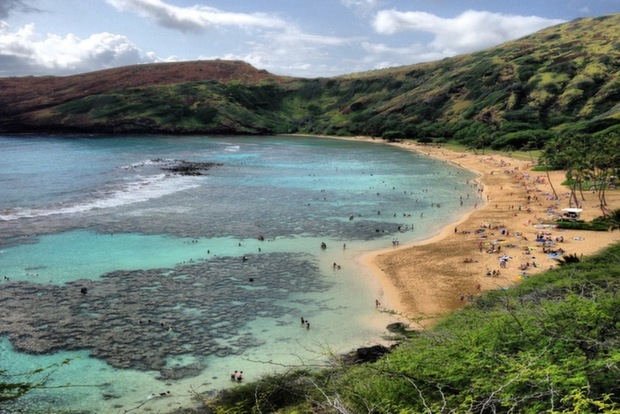 As a result the Hawaiian language was nearly lost forever. Here are some of the food items you might find on the appetizer menu: Sashimi sampler ($15), Steamed Manilla Clams ($17), Ahi Poke ($15), Fresh Shrimp Summer Roll ($12), Kobe Beef Sliders ($15), Sweet Potato Fries ($8), Squid Ring Luau ($13), Domestic and Imported cheese platter ($12), Mini dessert sampler ($13). 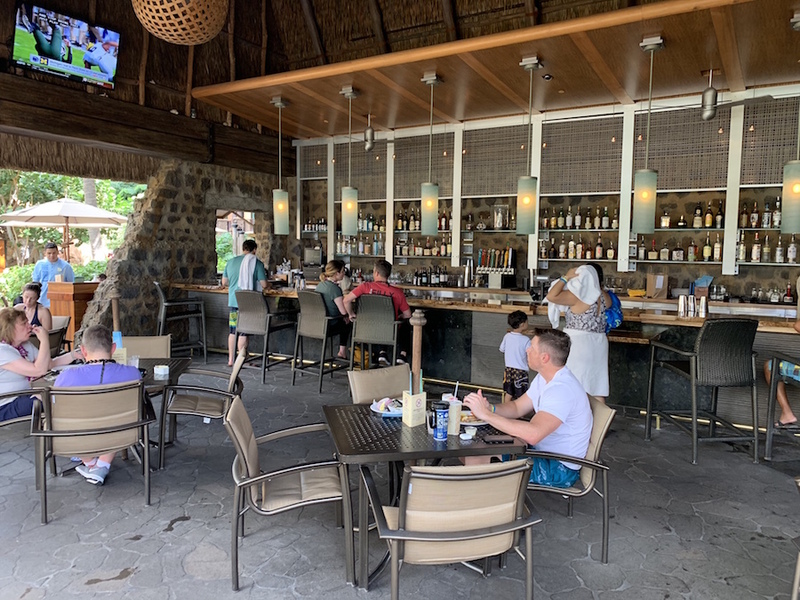 Off the Hook is the sports lounge located poolside and there are 2 large flat screen TV's that only show sporting events. 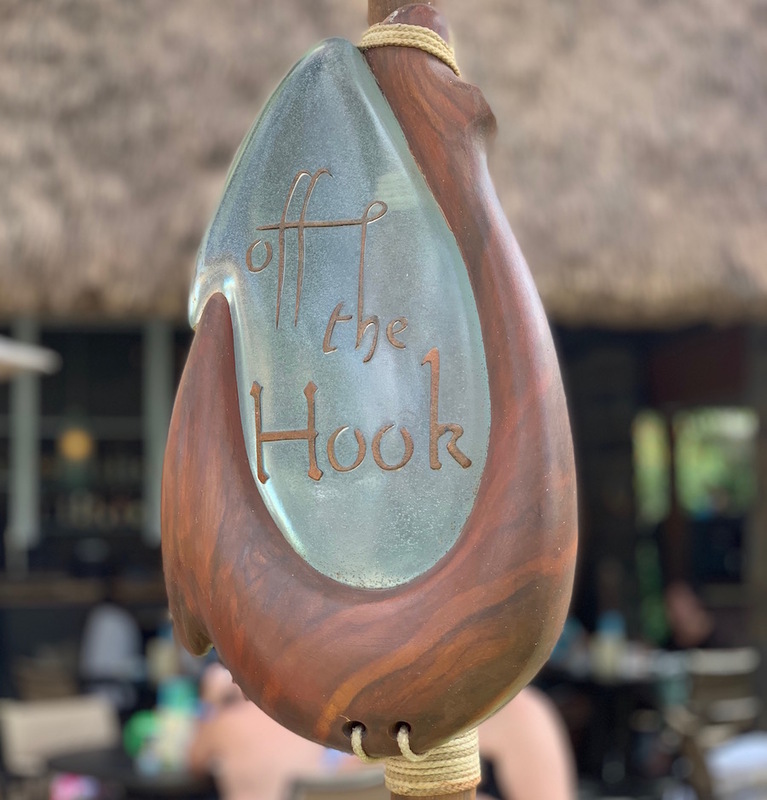 The theming behind Off the Hook is that you are at a fisherman's house where the fishermen would gather after their day on the water to share stories about the "one that got away." Along the inner ledge of the building, you will find artifacts they brought back from their journeys. The 3 large hanging lights resemble fishing nets and water droplets. Off the Hook is open 11:00 am - 12:00 am. An appetizer menu is served from 5 - 10 pm. 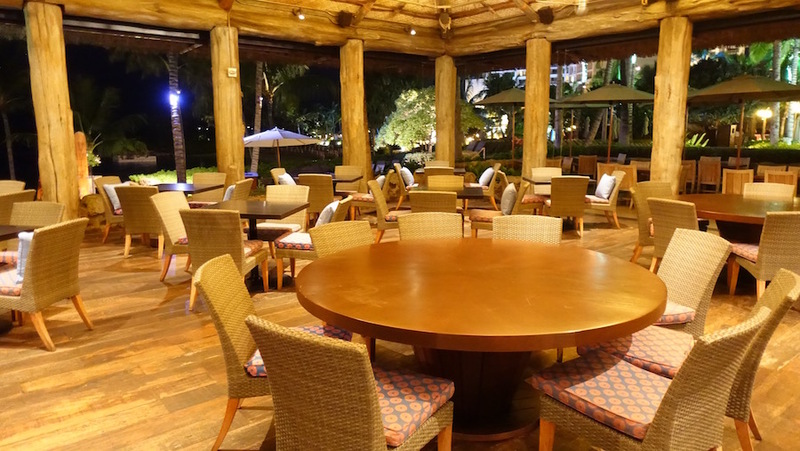 This is the only place you can get an adult beverage at Aulani after 11:00 pm. Hamachi and Ahi Sashimi with Ume Ponzu Sauce ($15), Prawns Satay on Sugar Cane skewers with peanut sauce ($15), Kobe Beef Sliders ($15), Peking Duck Flatbread with Hoisin sauce ($12), Domestic and Imported cheese platter ($12), Mini dessert sampler ($13). This quick-service eatery is beachside. Convenient grab-and-go options include sandwiches, salads, California rolls, ice cream and fresh fruit. A children's menu is available as well. Laniwai means "freshwater heaven." As you enter the 23,000 square-foot spa and see the tranquil reflection pool, you'll immediately feel the calm surround you. Enjoy a massage therapy session, facial, or a full body treatment. Kids ages 13+ can head to Painted Sky, a 1,500-square-foot spa complete with a yogurt bar, computer station, and a mixology station where girls can learn to make cosmetics from natural ingredients. 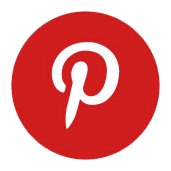 Click Here for the Laniwai Spa pricing sheet. Click Here for a list of Laniwai Spa treatments. Kula Wai (meaning "water source") is Aulani's 5,000-square-foot outdoor hydrotherapy garden where you can relax before your massage treatment. You can soak in an outdoor vitality bath meant to calm your mind and refresh your body. Used in tandem with a massage session, early Hawaiians believed that using fluctuating water temperatures helped to reset the body, boost immunity and increase circulation. This is a part of of the Laniwai Spa and is not available to non-spa guests. The 2,000 square-foot health club is the perfect place to stay in shape while on vacation. The state-of-the-art facilities offer yoga and tai chi classes, group fitness training, sport-specific training, and boot camp series spa treatments; relax after class in the sauna and steam rooms. You will need your room key to enter and exit. 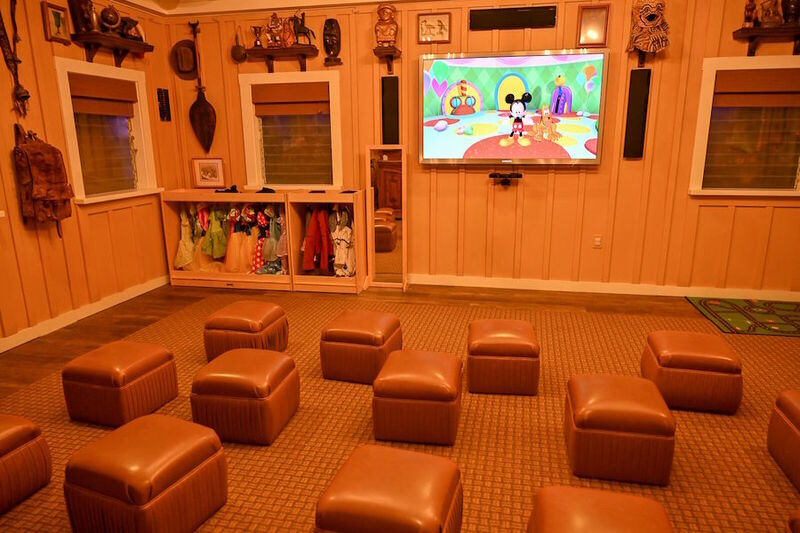 Enjoy board games, arts and crafts, books and Disney Family Movies together. DVD rentals also available. This is also where you will need to sign up to play the Menehune Adventure Game. Open from 8:00 am - 8:00 pm. Tip: Check your daily 'IWA for some of the free classes that are held here, such as lei making. Aunty's Beach House is designed just for kids ages 3 to 12 and it offers secured programming where all children will be within sight or sound of the Youth Activities Counselors. 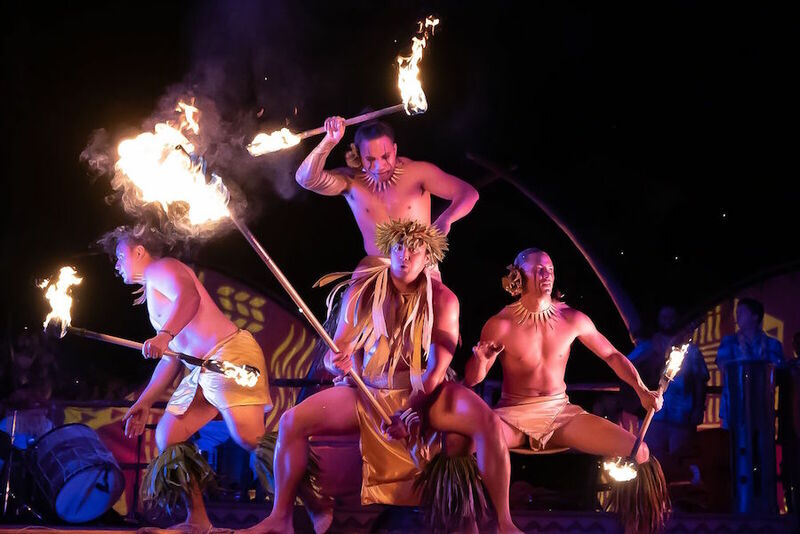 Base activities (covered by the Resort room charge) and premium experiences (offered for a fee) will surprise and delight guests at Aulani by encouraging and promoting physical, intellectual, emotional, social and cultural development. The counselors are trained in basic first aid, CPR and AED. Also, each one goes through a basic ASL class, as well as a basic Japanese language class. There are three certified teachers on staff and one teacher is always working on Aunty's side of the house. Drop the kids off while you go have a little adult time and know that they will be having the time of their lives. 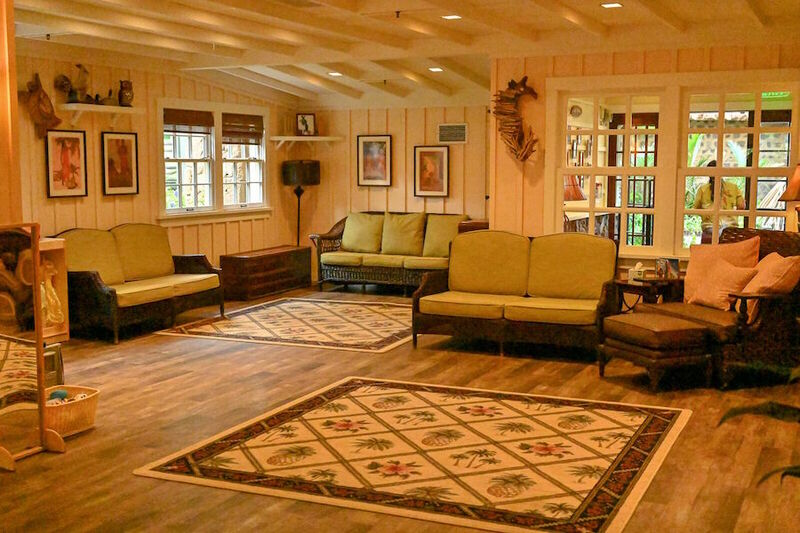 The Beach House is divided into two sides, Aunty's and Uncle's, and features traditional Disney music in Hawaiian. 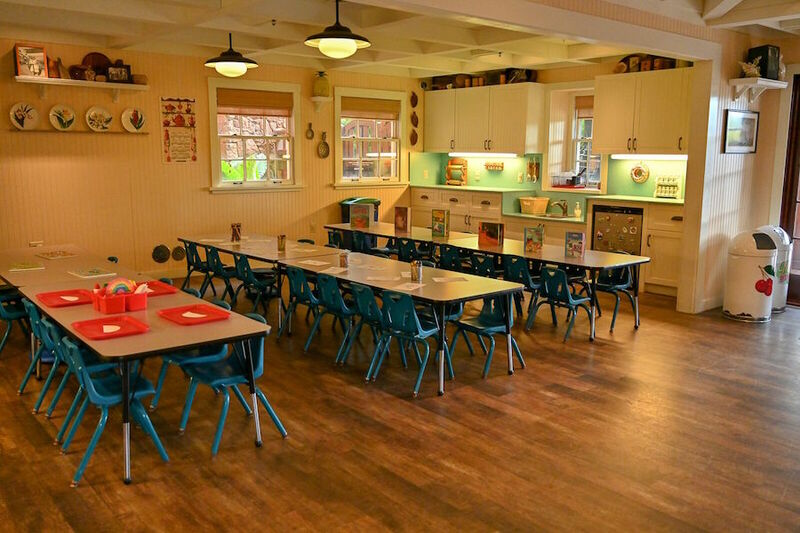 The keiki (children) will learn about Hawaiian culture in Aunty's living room where she gathers the children for Once Upon an Island storytelling, Make Believe Magic, lei making, hula lessons and ukulele playing. An enchanted fireplace and a magical ceiling window make this area extra special. Meals and snacks are served in Aunty's Kitchen. Snacks are provided free of charge every two hours and lunch and/or dinner are provided at an additional cost. Kids can also watch movies here and participate in Eruption Disruption! (a Volcanic experiment) as well as Stitch's Space Goo. The interactive touch table games located in Uncle's Den will keep even the most tech-savvy kid entertained. Kids can "make it rain" to start movie time in Uncle's T.V. room or watch their favorite Disney show. Nap mats are available here for those keiki that need daytime rest. There are computers and gaming consoles in Uncle's Surfboard Workshop. Uncle's Garage is where your child can participate in arts and crafts, face painting, and the Fish Are Friends program (this is a premium experience at an additional charge and reservations are required). 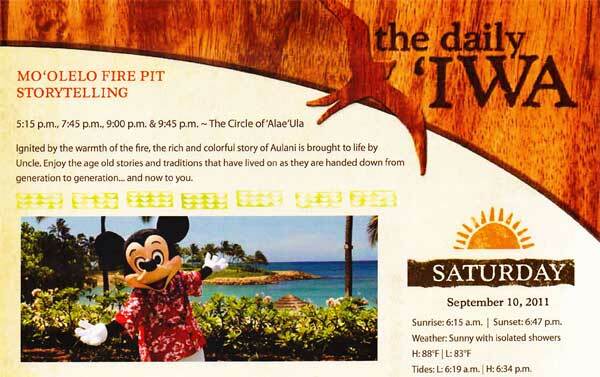 Kids will get an inside look at how the Aulani Animal Programs train, feed and care for the resort marine life. Not only will they see the animals first-hand, but they will make fish food and feed it to them. With all these experiences available, you may have to bribe them to leave! If you are the parent of a child under the age of 3, you can take advantage of the Disney Aloha Junior program. This allows the parent and child to use Aunty's Beach House during the earlier part of the day. Parental supervision is required for all children under 3. Aunty's Beach House is open 7 days a week, 12 months a year, but operating hours vary by day. Sunday, Wednesday and Friday from 9 am until 11 pm. Monday and Saturday from 8am until 9pm. Tuesday and Thursday from 7:30 am until 9 pm. All children participating in secured youth activities must have a completed Youth Registration Form on file and they must wear a Mickey Band while checked-into the beach house. 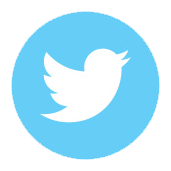 The primary cell phone number for the child's family will be used as the point of contact between Aunty's Beach House and the child's family. 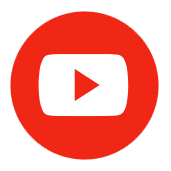 Children are encouraged to leave all personal toys and gaming equipment with their families. Any items brought in will be labeled and stored until the child's check out from Aunty's Beach House. Kids are required to be potty trained, but potty accident clothing is provided by Aunty's Beach House just in case. Cast Members will not provide medication to guests in Youth Activities. The only medications allowed are prescribed asthma inhalers and EpiPen. “Kakamora Chaos with Moana” is a new premium experience that children can participate in at Aunty's Beach House. The 90-minute experience features Moana who is anxious to find out more about her newly-made friends including what kinds of games they enjoy playing. 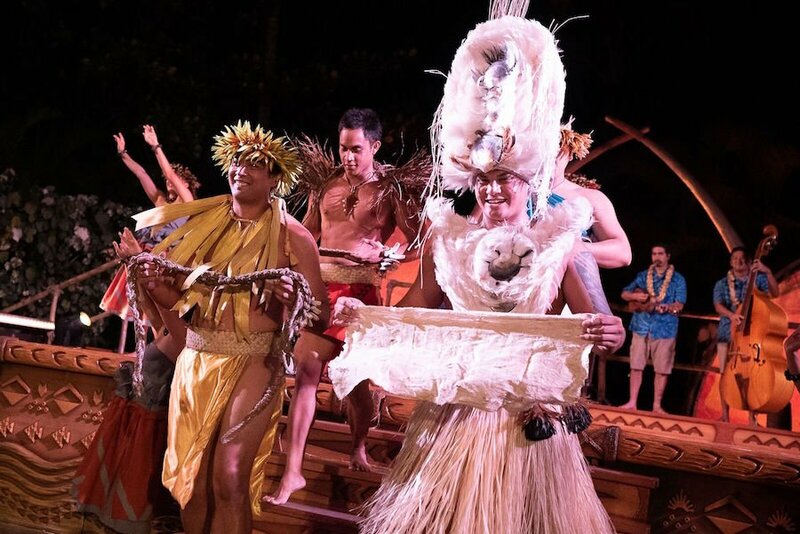 Moana will also teach young guests children’s games from Hawaii including the Kakamora Relay, a game from her home island of Motunui. The cost is $59 plus tax for each child ages 3-12. Advance reservations for “Kakamora Chaos with Moana” are strongly recommended and can be made by calling (808) 674-6200. Refillable mugs will be mailed directly to you approximately 4 weeks prior to your vacation start date. Please contact your Dreams Unlimited Travel agent with questions or write to [email protected]. 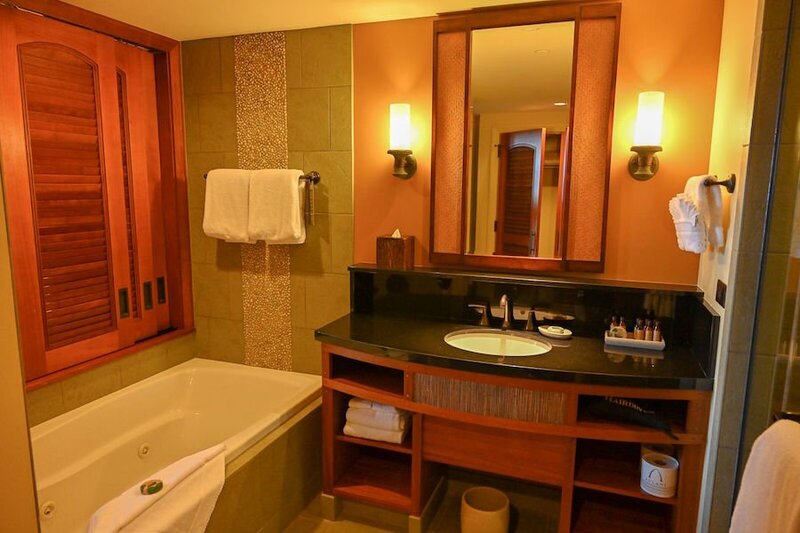 Visit, Aulani, A Disney Resot & Spa this spring or fall and save up to 30% on your stay. From the perspective of a “local,” here are my recommendations on how to see the best of Hawaii from a cruise ship. For the purposes of this article, I will be adapting these recommendations to fit the Norwegian Cruise Line 7-Night cruise itinerary sailing out of Honolulu. 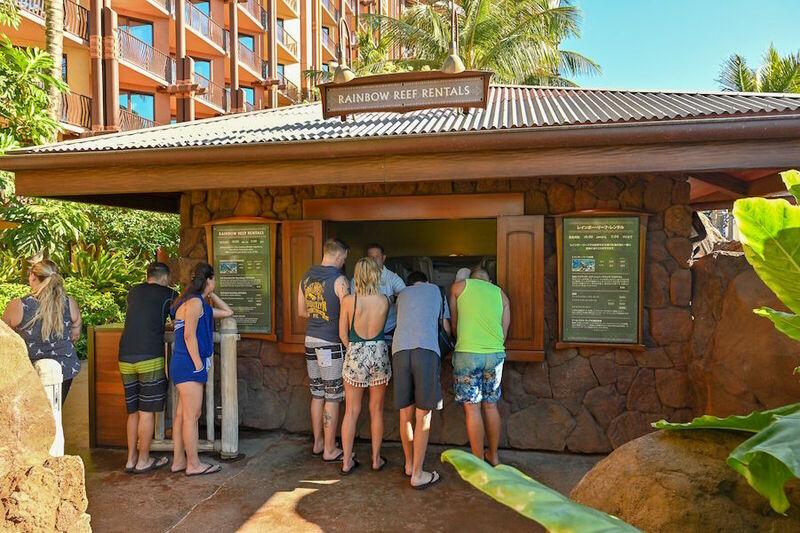 Top 5 things for FAMILIES to do while staying at Aulani! 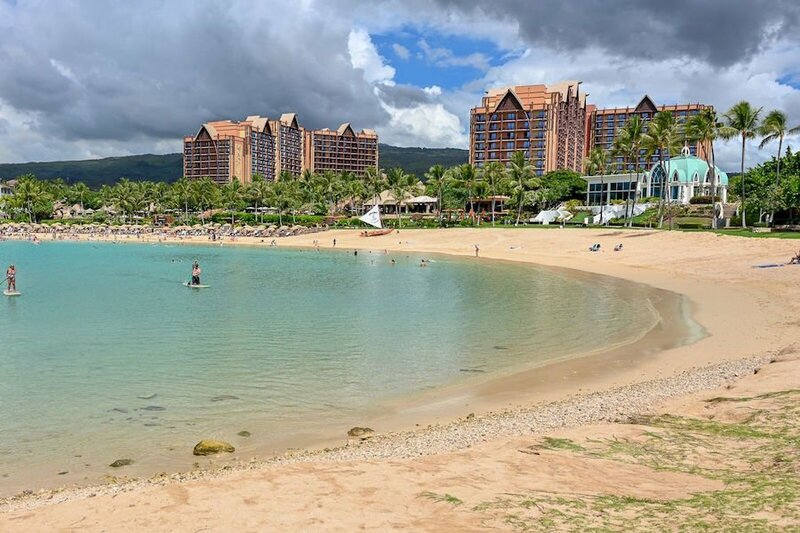 Top 5 things for KIDS to do while staying at Aulani!